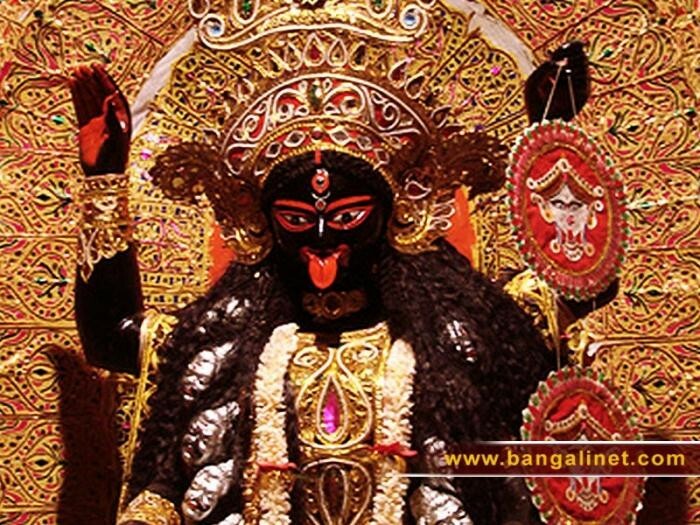 Both Durga and Kali are manifestations of the divine power that vanquishes the demon. Thus, both goddesses are called Demon Slayers. 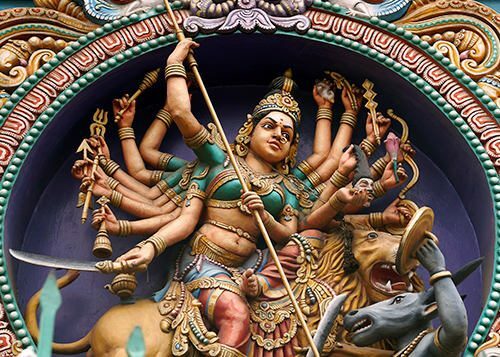 Ironically, an otherwise very patriarchal society keeps worshiping two goddesses, whose places are high on the Hindu hierarchy. History says India and especially its Hindu society were much less male-dominated, compared to what we see today. Some societies were even matriarchal. But that’s another story. We grew up in the Bengali traditions and culture where festivals like Durga Puja and Diwali were more social than religious. In a city like Calcutta, we would go from neighborhood to neighborhood, women wearing their new saris and men their new shirts and shoes, and be awed with the art and decoration of the makeshift temples. Of course, to enter the main temple or sanctum sanctorum, you must take your shoes off. Further, there would be competitions among our friends who got to see the maximum number of neighborhood pujas. 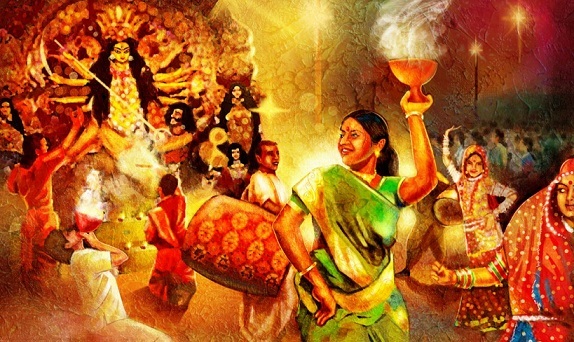 Often, after the completion of the four-day festival, or even after the Diwali, many neighborhoods would gather together celebrated musicians, and host all-night concerts or soirees. Music and art have always been important, integral elements of our religious celebrations. Food, of course, is the other important element in our religious and social festivities. In some parts of India, where religion is stricter unlike Bengal or Calcutta, food is always vegetarian. 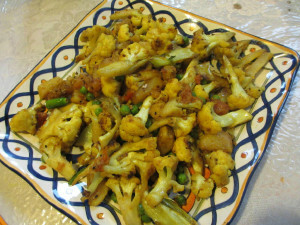 But in places like West Bengal, Bangladesh, Assam or Punjab, there is always a mixture of both vegetarian and non-vegetarian foods. But there is a twist. To comply with priests and religious scriptures, people have found various, innovative ways to make up their puja food recipes. The vegetarian Puja bhog will include: Khichuri, Mixed vegetable, Beguni (Egplant fritters), Tomato chutney and Payesh. Then many non-vegetarian dishes including exquisite Fish dishes and Meat (Lamb Korma etc) are very popular during this time. Any way I am sharing one with you.